Step 3 : Now to download the offline installation files, you need to run the installer in the command line mode with a layout & language parameter. Step 4: Open the command prompt as administrator and enter the VS_enterprise.exe with the layout.For e.g. to create offline installation files for English, you can try the following command. Step 6: After entering the command, another dialog will open as follows. Step 7: After that, it will give you the progress about the downloading of packages. Once all the required packages are downloaded, this command prompt will close automatically. At any moment, you can use the same command again so that new updates will be downloaded. In the layout folder, you will find a certificates folder with several certificates. 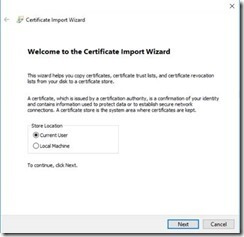 Right click on each certificate and install them. A wizard will start and guide you through the installation process. I didn’t change any default values in the wizard, just click Next in each step until you reach the last step. Click Finish button, you will get a success message if everything ok.
Repeat the same for each certificate available in the certificates folder. 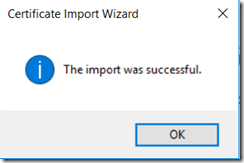 Once you installed all the certificates, you can start Visual Studio installation. 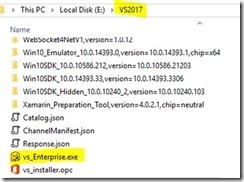 Step 9: Installing Visual Studio 2017 using exe. In the layout folder, you will find vs_enterprise.exe. Step 11 : You will see the new installation experience of Visual Studio 2017. You can select the necessary components and click on the install button. Note : You can download community edition as it is free for developer and Total size the of visual studio is 18GB if you select more features then size may increase.